If you’re in the market for a new home or other real estate, you’ll most likely be applying for a mortgage and working with a loan officer. You may have seen on business cards or emails something called an NMLS identification number. Alternatively, you may have seen real estate commercials on television for mortgage lenders that include “NMLS consumer access” mentioned quickly at the end when they run through all the legalese. You’ve probably wondered what an NMLS number is and whether or not you should be paying attention to it. Who is it for? What does it mean? The truth is, if you’re buying a home, an NMLS number is an important part of the process. It’s a way for you to have a little more control in a system that you may not trust completely. A home is likely the largest purchase you’ll ever make. Shouldn’t you do everything you can to have peace of mind in the process? What is an NMLS Number? To put it simply, an NMLS number is a unique identifying number assigned to mortgage officers and other financial institutions. 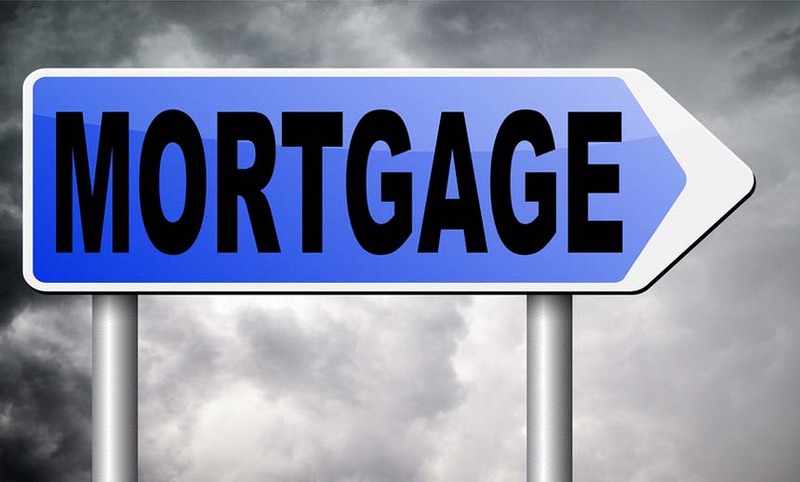 In order to offer any kind of loan like a residential mortgage loan, they have to go through a process to get one and, once they do, it follows them throughout their whole career. Aside from being a unique identifying number, NMLS itself stands for Nationwide Mortgage Licensing System and it was put in place after the mortgage crisis a few years back. In 2008, the Secure and Fair Enforcement for Mortgage Licensing Act, or SAFE Act, was passed. Because of this law, states were required to come up with a way to license mortgage loan originators according to national standards so that, no matter what state they were based out of, there was a way to compare credentials, background, and other relevant information. NMLS does not grant the licenses itself; that’s left up to state and federal governments. Its key purpose is to put a standardized system into effect and it helps keep track of loan officers moving from state to state. It’s not hard to see why consumers could have lost faith in mortgage brokers after the mortgage crisis and recession in recent years. The SAFE Act and NMLS system were put in place as an attempt to bring some integrity back to the business. The hope was that it would give consumers confidence in the system again. It provides a coordinated nationwide platform that allows for information sharing and efficiency in the industry. NMLS is owned by the State Regulatory Registry LLC (SSR). SSR also implemented and maintains the NMLS Consumer Access website. More on that later. What is SRR? It was started by the Conference of State Bank Supervisors (CSBS) and the American Association of Residential Mortgage Regulators (AARMR) to develop and implement a way for state regulators to share information and streamline a lot of processes. The purpose was to help states protect consumers by being better able to supervise everyone holding a license. It’s easy to see how this idea kept growing and eventually led to the NMLS. The SAFE Act and the NMLS system were put in place to help protect you, the consumer. It established minimum standards so that you know the person you’re working with to get a mortgage is qualified to help you. You can get all the information you need to be confident that you’re not getting ripped off by a dishonest loan originator. An NMLS number also allows you to check up on your lender to make sure they don’t have any legal or dishonest issues in their past business dealings. By visiting the NMLS website, you can access the information you need. Just enter the NMLS number of your mortgage officer. For example, you can find out if the lender has ever had his license suspended or used another name. You’ll also find various contact information, like phone and fax numbers as well as the address of your lender’s offices. The website provides information going back as far as 10 years. The website is updated nightly so you know you’ll always have the most accurate information. One key thing to remember about NMLS numbers is that they were ultimately put into practice to help you, the consumer. After the subprime mortgage crisis and recession, consumers lost a lot of confidence in banks and mortgage lenders. Something had to be done to gain the trust of people and to make sure that dishonest brokers weren’t preying on innocent people. With the NMLS system, not only are there standard regulatory practices put in place, the public also has direct access to them. In order to get licensed and obtain an NMLS number, mortgage officers have to prove they are deserving. They must have appropriate education levels, prove they’re financially responsible with their own money, and get a criminal background clearance from the FBI. Needless to say, if you come across a lender who doesn’t have an NMLS number or whose record shows undesirable behavior, you now know to avoid them. For your own peace of mind and for your financial security, refrain from giving them your business. The existence of this system makes it possible for you to make sure you’re dealing with someone reputable, qualified, and honest. That’s exactly what you should be looking for when trying to buy your home. How do I confirm that the NMLS number given to me from a loan officer is legitimate and is assigned to the loan officer?